"Digiprove has been a wonderful help in securing authorship for all material published on the web (blogs, photos, graphics, etc.). Any blogger using Wordpress just needs to install the Wordpress plugin called 'Copyright Proof' and activate it. The plugin will allow you to create a Digiprove account through its Tools settings and start issuing certificates automatically with your next published article. Like I said, Digiprove makes it very easy for any blogger to securing authorship rights!" "As a publisher of electronic books, we struggled for months to find a copyright solution that would be cost effective enough to use with ebooks. Finally we found it! Digiprove is a marvellous technological innovation. It has enabled us to protect our ebooks without the prohibitive cost of more traditional solutions. I would recommend Digiprove to anyone who has creative work and requires proof of ownership. It's one of the best pieces of technology I've been able to apply to my business, and I use a lot of technology." Graeme Houston, Director, Mythica Publishing Ltd. (www.mythicapublishing.com). (After using Digiprove in engagement with advertising agency) "Luckily, these situations don't happen too often, but it was nice in this case to be able to prove that this was my idea. If I had not Digiproved this image, it would be my word against theirs as to who came up with the concept first. I think Digiprove is just a great service." Trevor Hart - professional photographer (www.trevorhart.com). "Digiprove is an excellent idea and it's got to be the easiest, most affordable way yet to protect your intellectual property. It all works so quickly and effortlessly but can give my clients solid reassurance that their ideas are fully protected. I would have absolutely no hesitation in recommending Digiprove to any company with new product ideas, creative concepts, published material, sensitive material or, in fact, anyone developing website content or green/white papers." 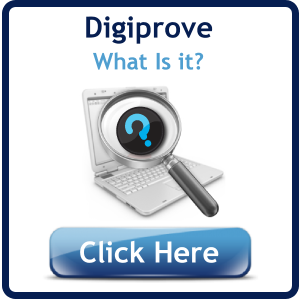 "May I say how helpful I found the entire Digiprove service; the proving, the certification, the website; the lot. I found it all structured, as is your pricing structure and system of credits, to exactly match my concerns about rip-offs of my months of labour developing my work. It's as if my mind had been read. I wouldn't hesitate to recommend Digiprove to anyone who has put time or other investment into a creative work. You can quote me on that, as I don't really see why anyone WOULDN'T use Digiprove; except through not knowing about it." (After using Digiprove in engagement with insurance company) "This incident illustrates the real financial benefits of the Digiprove service, and we are delighted that we advised our clients to use it." Derek Madden, CEO of Health and Safety Manager (www.healthandsafetymanager.ie). 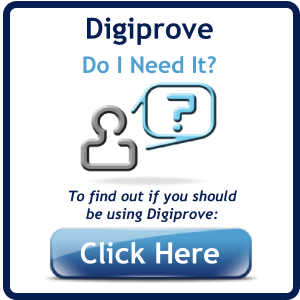 "Digiprove's service is just the ticket for us and our customers. We have adopted Digiprove for all of our customers' web-sites; this protects them and ourselves from the piracy that is now so rampant on the internet."